LMAC Photography's Lifestyle Family Division has really expanded over the years. We photograph all types of family sessions and one of our favorite photo sessions is the One Year Old Session. LMAC also offers a Baby Package that includes major child milestones such as newborn, six month, and one year sessions. We have photographed most of the major milestones of this family including, wedding baby, and now her toddler photos. 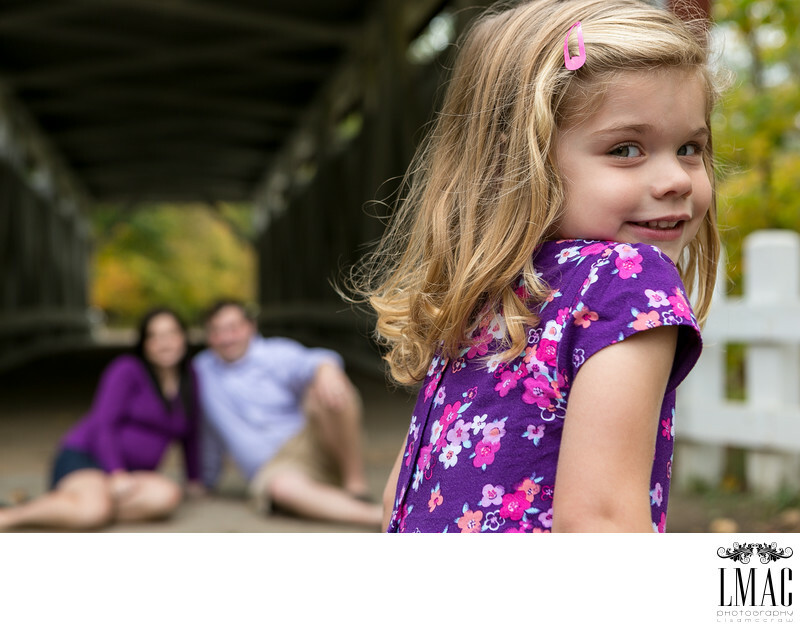 This photo was photographed during a lifestyle family session at the Everett Rd Covered Bridge in Richfield, Ohio. This area lies just south of Cleveland, Ohio but north of Akron, Ohio. The Everett Rd. Bridge area not only features this beautiful coverage bridge over the Cuyahoga River, but also beautiful nature trails to utilize for any family photography session.